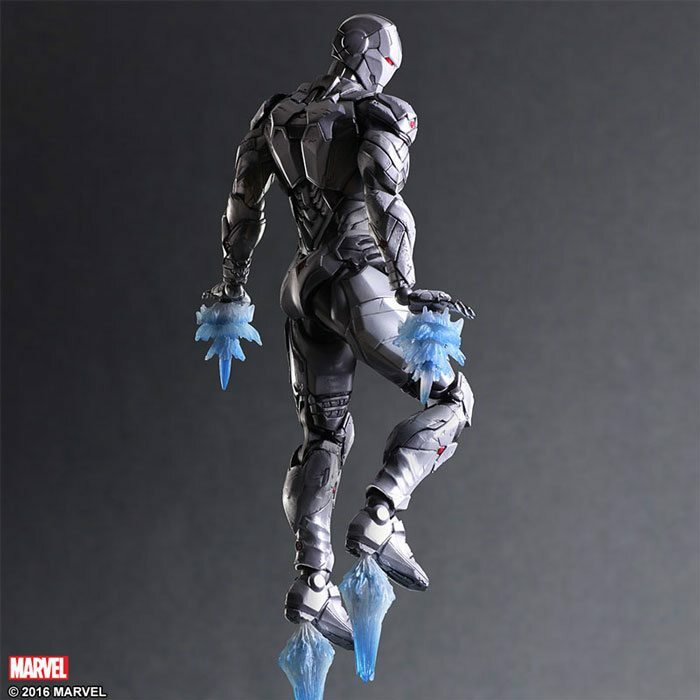 Square Enix and Marvel Comics have partnered up in creating new action figures for Square Enix’s Play Arts Kai series. 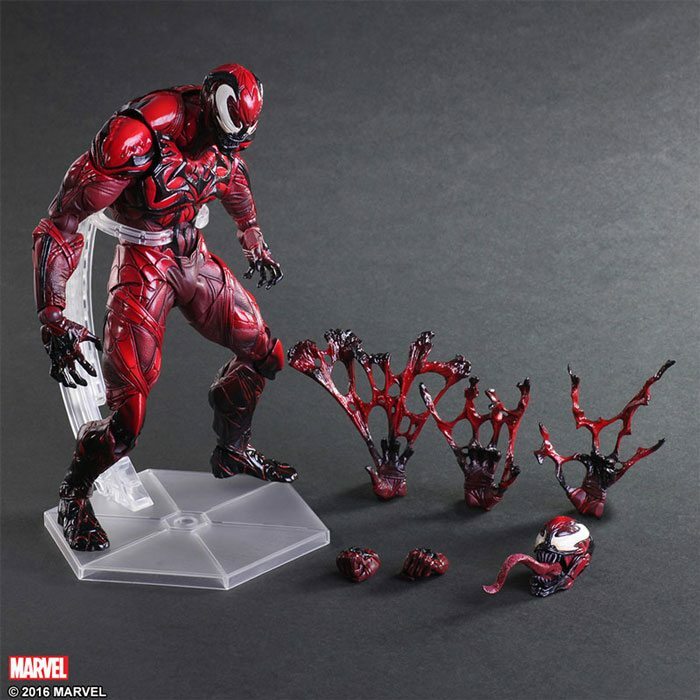 We’ll be getting Venom, Iron Man and Spider-Man action figures, all made to be limited edition. Spider-Man will be 10 inches tall (~25cm) while Venom and Iron Man will be an inch taller. To make Spider-man as similar to the comic as possible, new joints were specially designed to show his advanced agility and flexibility, which can lead to posing him either slinging web, crouching, fighting, or just about anything that you can imagine. 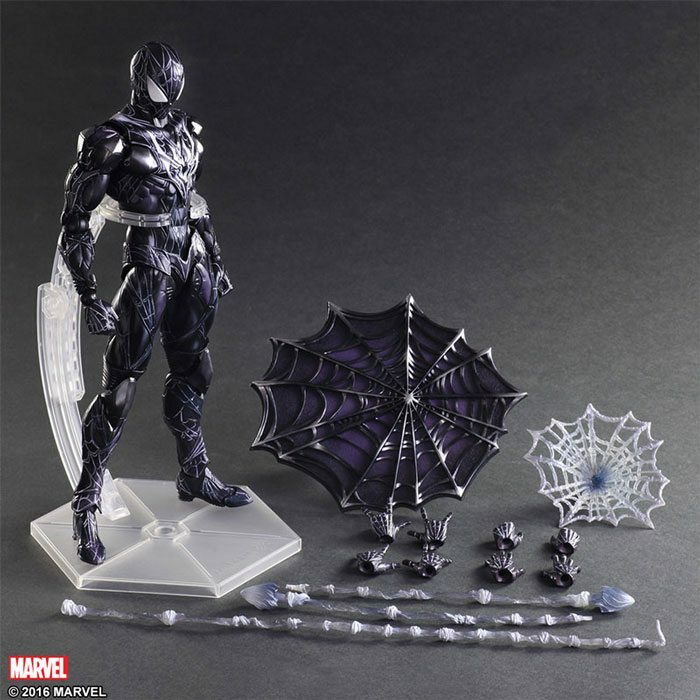 The figure also comes with translucent webbing, interchangeable parts, and all of it painted with crazy good detail. 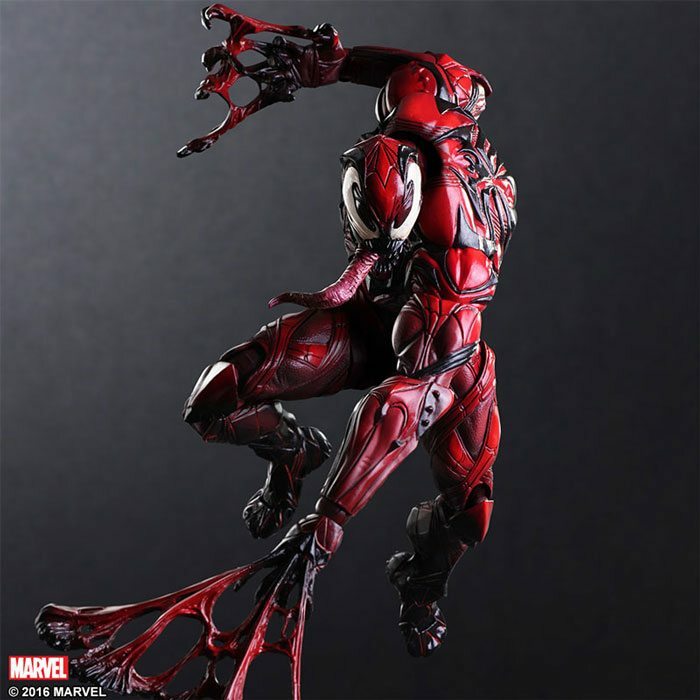 The limited edition color of Venom will not be his standard black and white, but rather red and black, since the figure is inspired by Venom’s offspring, Carnage. 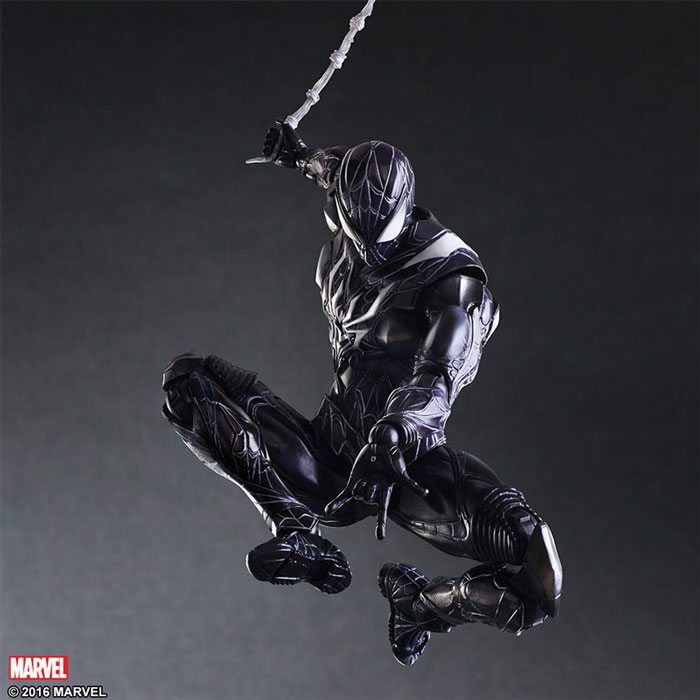 Venom includes a swappable head, with the tongue action that would make Michael Jordan jealous, as well as interchangeable parts that show the symbiote’s special webbing skills. 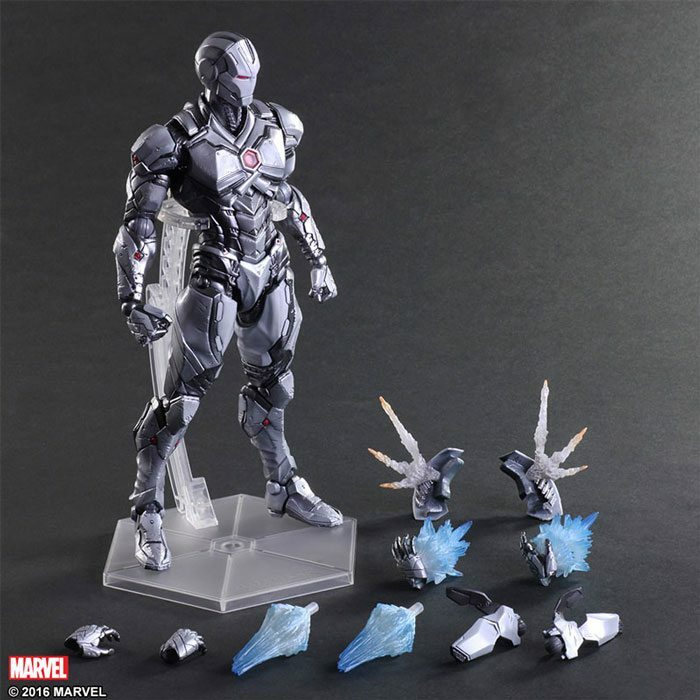 Iron Man will be made with a color pattern that resembles War machine, except in a more ninja-like appearance. His interchangeables include items that show his jets, micro missiles, and air brakes that open and close. 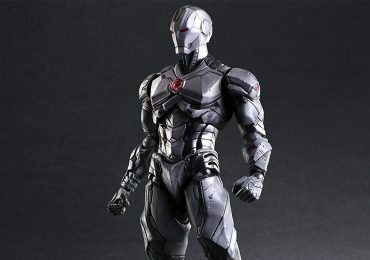 Also, and I don’t say this lightly, he also just looks dang cool in that gunmetal grey. These figures are among the best figures that the Play Arts Kai line has to offer, and we certainly hope that Square Enix decides to make more with the same dedication that they had in making these. All three figures are expected to arrive in October 2016.The Iron Man and Spider-Man action figures are listed at $119.99, while Venom will be a bit more expensive, being priced at $129.99. All three will be made as limited edition figures so you should probably snag them as soon as possible. Although they might seem like a lot, they are quite worth it considering their high quality. You can pre-order them on the Big Bad Toy Store, or at Entertainment Earth.